Alistair McHarg’s house, built in 1756, doesn’t have a straight line: after weathering more than 250 years, it’s completely cattywampus. Like walking on the deck of a ship. He and his wife Ellin like it that way but the sloping lines made weatherizing their old windows more challenging. 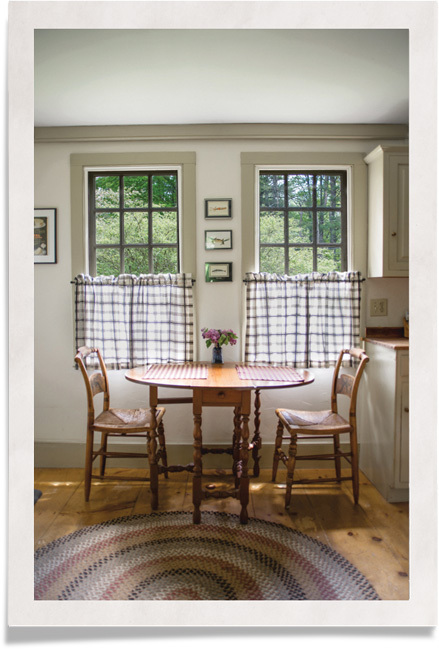 The McHargs won’t do anything that would ruin the historic integrity of their pre-Revolutionary War center-chimney colonial that once served as a tavern and schoolhouse in Sandown, New Hampshire. 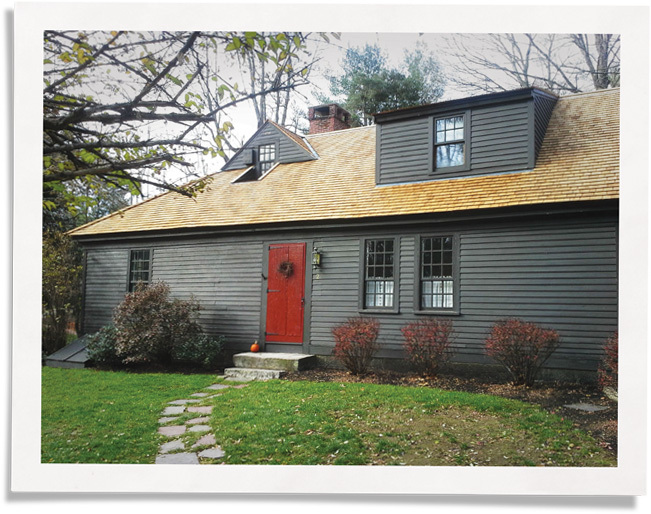 When it needed a new roof, they went with cedar shake instead of asphalt. When it came to weatherizing the drafty but beautiful old windows, they took care. 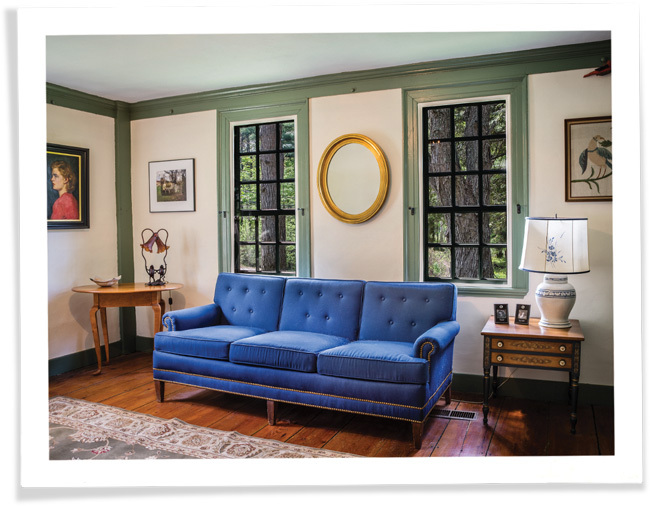 Historic preservationists had told the couple one of the surest ways to hurt the value of their one-of-a-kind home was to replace the original windows. But the exterior storms were falling apart and didn’t fit the out-of-square, trapezoid-like windows. Then they heard about Indow window inserts. Their local Indow dealer sent a certified technician to do precise laser measurements. The couple bought inserts for all 14 first-floor windows. The difference was immediate. 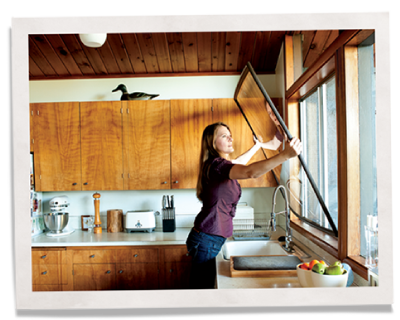 The Goal: Weatherizing Old Windows. The Bonus: Quiet. The couple bought the Indow inserts with a white silicone gasket instead of brown, appreciating the contrast against the dark wood. Alistair, a poet and writer, is a self-described “aesthetic snob” that he joked even he “finds irritating.” He felt sure Indow inserts would look industrial and was surprised to find them lovely. The McHargs, happy with the energy-efficiency gains, installed Indow inserts throughout the entire house the next year. – Alistair McHarg, Sandown, NH.